Director Rajkumar Gupta’s breakthrough came with the underrated Barah Aana in 2009 for which he wrote the screenplay. His directorial debut, Aamir, showed promise with its compact narrative and prescient theme. Aamir was followed by No One Killed Jessica, a UTV production, signalling Gupta’s entry into the mainstream. His latest film, Ghanchakkar (Crazy), sees him reteam with Vidya Balan. On the surface, it tries to be a playful film with an noirish urban story featuring familiar crime idioms like memory loss and a missing suitcase full of money but the desire to be edgy is nothing other than an aspiration that rambles profusely and then disintegrates into cataclysmic cinematic absurdities. Emraan Hashmi’s continuing attempts to alternate from his romantic lead star image in films like Shanghai (2012) and Ghanchakkar certainly proves he has a nastiness lurking within him that needs to be exploited more often. 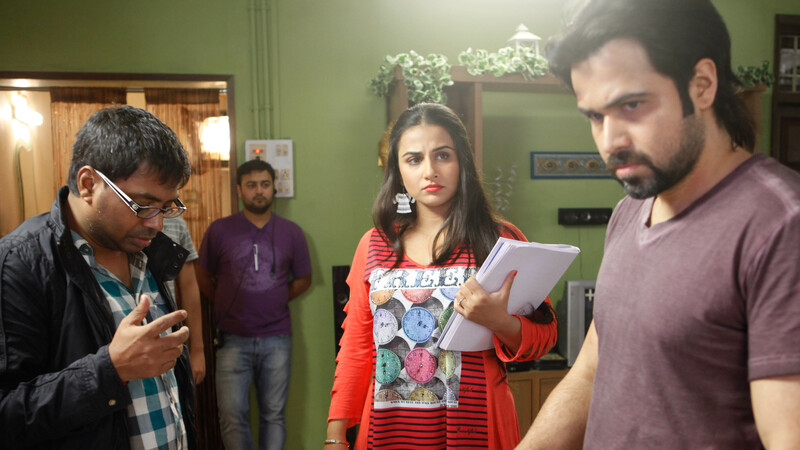 One of the major problems with Ghanchakkar is the running time. Had this film been more taut by shaving off thirty or even forty five minutes, it may have been more engaging. Overall, it is a disappointing film but I have to admit, the ending was somewhat of a surprise and welcoming to see filmmakers seeking to export ideas often found in Indian indie cinema to a mainstream context. This entry was posted on October 11, 2014 by Omar Ahmed in Hindi Cinema, Indian CInema and tagged Comedy, Indian Cinema, Vidya Balan.